Collette Divitto was born in 1990 with Down syndrome. She grew up in Ridgefield, Connecticut, where she developed a passion for baking after taking classes in high school. After testing out several cookie recipes, she came up with an original cinnamon chocolate chip cookie that people really enjoyed. 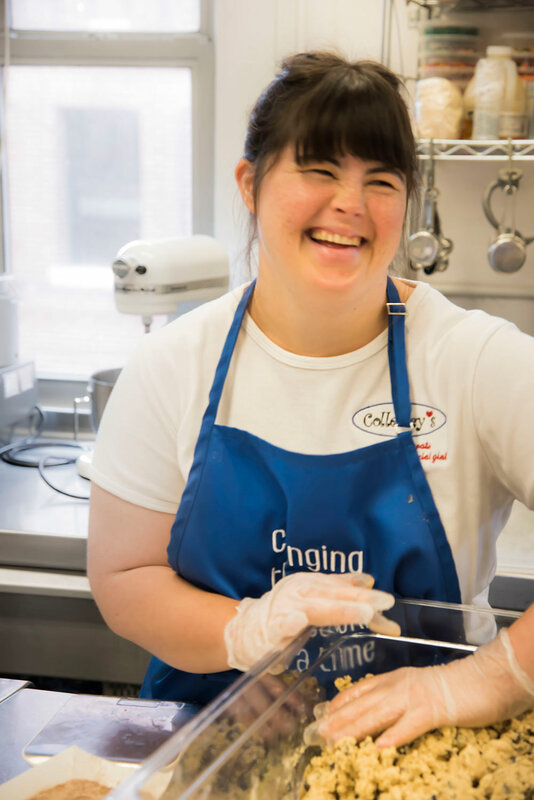 Because all of her friends and family raved, “This cookie is amazing,” Collette decided to call her recipe “The Amazing Cookie.” After high school, Collette attended Clemson University, and finished a three-year LIFE program in just two years. With characteristic sass and a strong drive to work hard and succeed, she moved to Boston, where she was sure she would find a paying job. Although she went on many job interviews that seemed to go very well, she always got an email saying something like, “it was great to meet you, Collette, but at this time we feel you are not a good fit for our company.” Because she was determined not to let rejection stop her from earning a living and doing meaningful work, Collette decided to turn her passion for baking into a business, and founded Collettey’s Cookies. She started by approaching a local grocery store and asking if they would sell “The Amazing Cookie.” The store became her first of many clients. 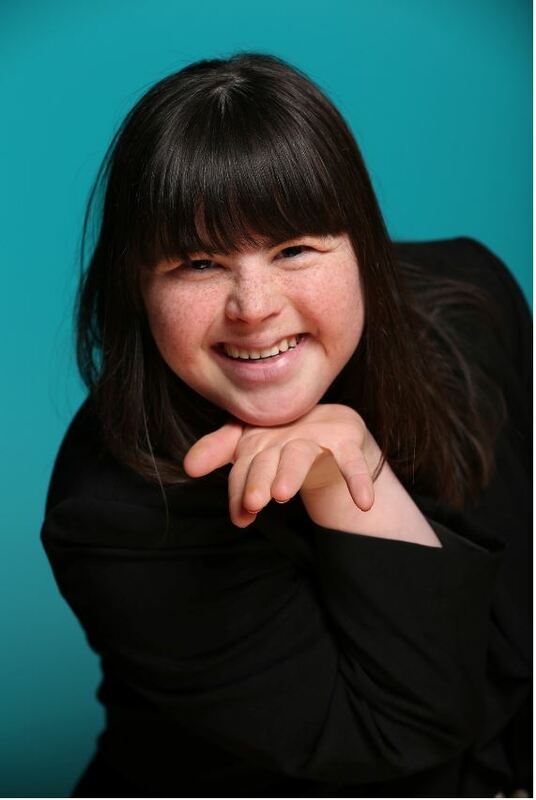 Knowing firsthand the struggles that people with Down syndrome endure while looking for employment, Collette decided that her company would be not just a means of earning a living, but it would have a greater mission – to create jobs for other people with disabilities. In late 2016, the Boston CBS TV affiliate featured Collette and her company on their nightly news program. Soon, she was flooded with orders. The national news picked up her story, and Collettey’s Cookies went viral. She has been featured on CNN, Good Morning America, MSNBC, Inside Edition, BBC, and many other print and television media outlets around the world. She has sold over 180,000 cookies to date and Collettey’s Cookies now employs 13 people, several with disabilities. Collette travels around the country to share her inspiring story, and constantly encourages people to focus on their abilities rather than what they can’t do. 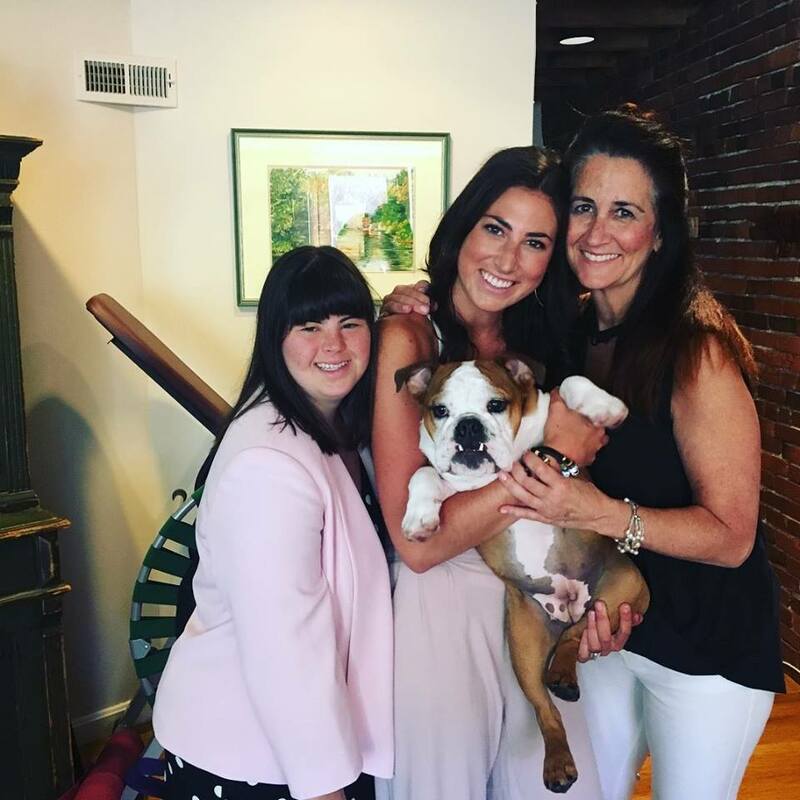 Her ultimate goal is to work with lawmakers in Washington, D.C. to create policies that would increase employment opportunities for people with disabilities. Collette is one “smaat” cookie.